Centuries of technological advancements have perfected the process of roasting and brewing coffee. A global network of trade routes allows people around the world to enjoy delicious, piping hot coffee made from beans grown thousands of miles away. 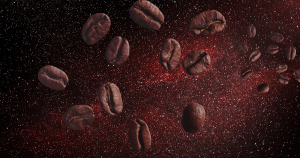 That’s why a startup called Space Roasters is so preposterous: it wants to roast coffee in space. “We believe it is time to revolutionize coffee roasting using space technology,” said founder Hatem Alhafaji and Anders Cavallini in an interview with Room magazine. Or maybe it’s an over-engineered solution to a problem that doesn’t exist. Space Roasters’ plan is to use the heat created during reentry from space through Earth’s atmosphere to roast coffee beans. The startup even developed a specially designed capsule that carries beans before plummeting back to Earth using a parachute. The price: Ars Technica’s back-of-the-envelope calculations estimated that a cup will cost around $500 — that is, if they find a company with a launch vehicle that’s willing to launch its equipment into space. According to The Guardian, it’s already in discussions with Rocket Lab and Blue Origin. Not only is the resulting product absurdly expensive, but it could also end up taking up valuable cargo space on future space missions that could be filled by literally any other more meaningful scientific initiative. Not only is that weirdly vague, but it never justifies its existence. Does it improve the roasting process? Does it bring better coffee to more people? More likely: it’s just a fun thought experiment for bored engineers. Naturally, Space Roasters has already announced a pre-sale campaign to sell their yet-to-materialize product. Our takeaway: the only thing Space Roasters has demonstrated is that even the most ludicrous startup concept can rack up mainstream media attention.